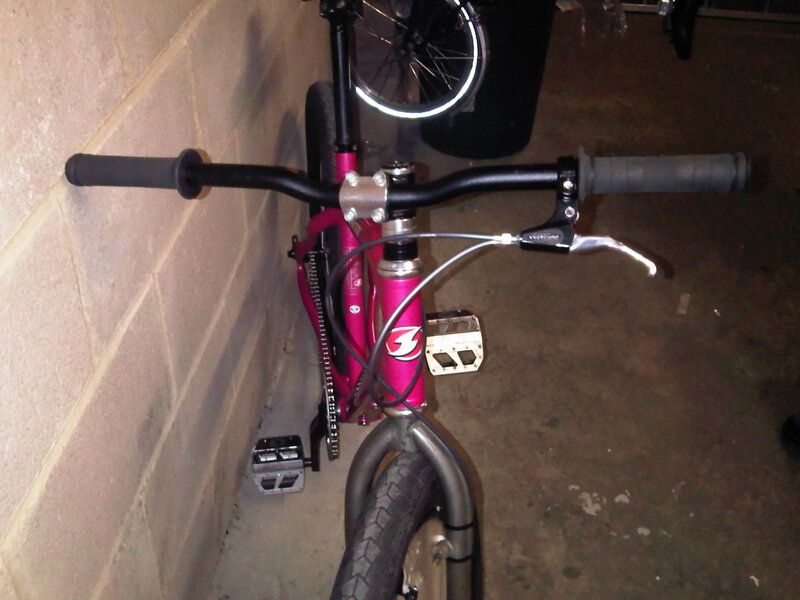 Polo Bike For Sale – £150 (Sold) | Birmingham Hardcourt Bike Polo, UK. For the moment, this is only for people from Birmingham (or surrounding areas) who are currently playing or looking to start playing. I bought it recently on a whim, but decided I like my current set-up better. 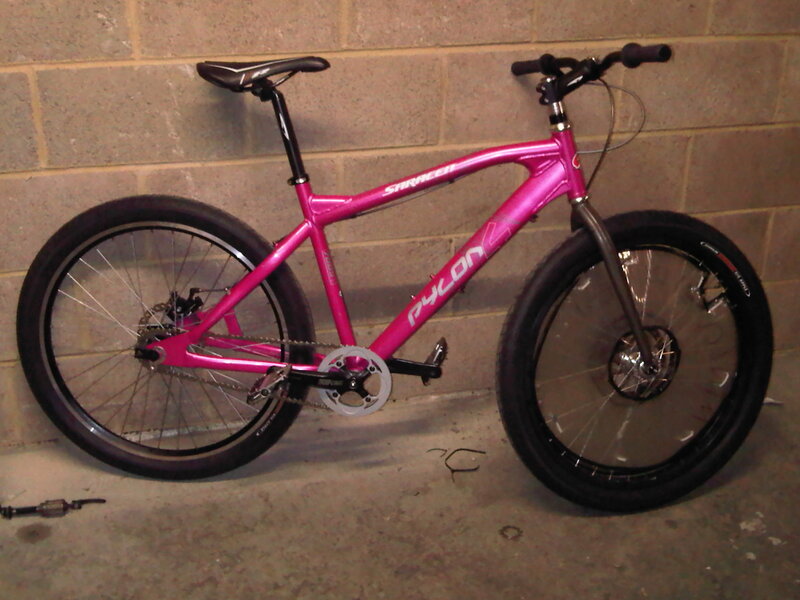 It’s a 26″ wheel hybrid frame, 18″. I’ve put a double brake lever on the left-hand side, which lefties could easily swap over to the right, and put on a nice low gear ratio with a new chain and chain-tug. 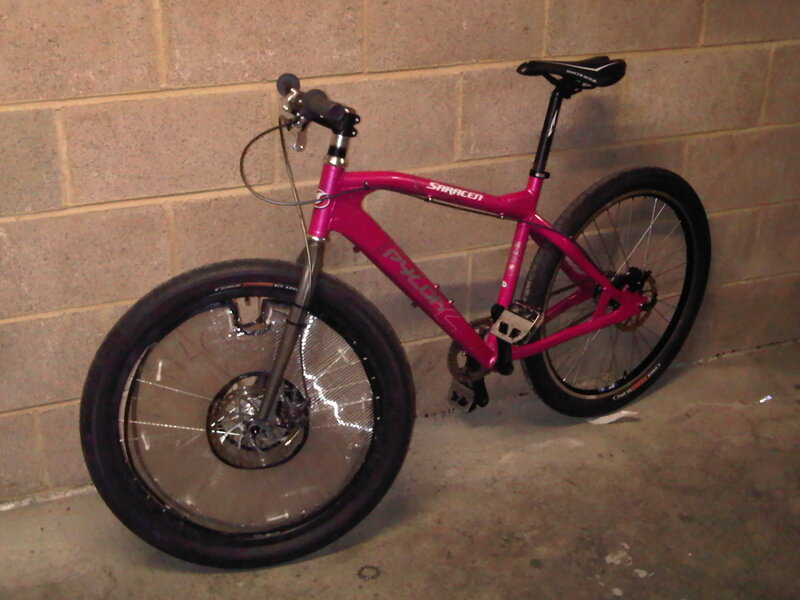 I’ve also put on wheel covers and Crank-Bros flat pedals, which are massive and grippy. I changed the fork to a shorter and straighter model too. I’ve left the steerer-tube, handlebar and seatpost all pretty long, so you can trim them down according to your preference. It’s a ready-to-go polo bike, for cheap. I’m not accepting any offers on the price. If it doesn’t get sold to someone in Brum by the end of January, I’ll tout it to people in London and Manchester, then finally to eBay. This entry was posted in Birmingham Bike Polo and tagged bicycle, bike, polo bike. Bookmark the permalink.